Bloomberg will challenge President Donald Trump, reports Times of London. Former New York Mayor Michael Bloomberg plans to run for president in 2020 as a Democrat, The Times of London reported. Bloomberg, who considered independent runs for the White House in 2008, 2012 and 2016, will challenge President Donald Trump, the paper reported, citing unnamed sources. 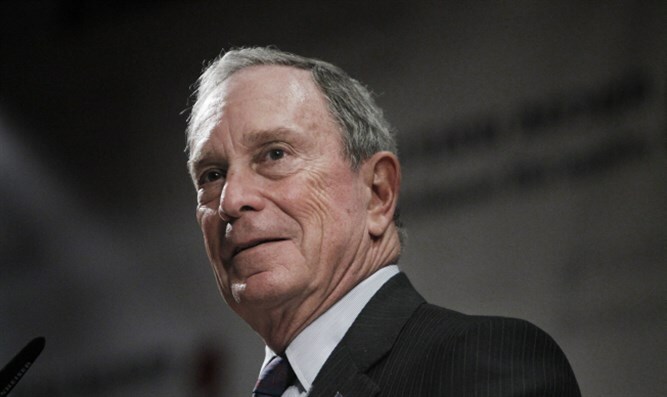 Bloomberg, who is Jewish, endorsed Hillary Clinton in the 2016 presidential election, calling Trump a “risky, reckless and radical choice.” Bloomberg, who served three terms as mayor, ran his mayoral campaigns as an independent. In June, Bloomberg, 76, reportedly said at a fundraiser that he’s “revving up” for 2020. CBS reported in June that he was considering a run for president in 2020. A former Trump aide said Bloomberg would make a formidable opponent. “If I were a Democrat strategist and somebody said to me, ‘Who do you want to be the Democrat nominee for president of the United States?’ there’s only one name I would choose and his name is Michael Bloomberg,” former Trump adviser Corey Lewandowski said last month, according to New York magazine.